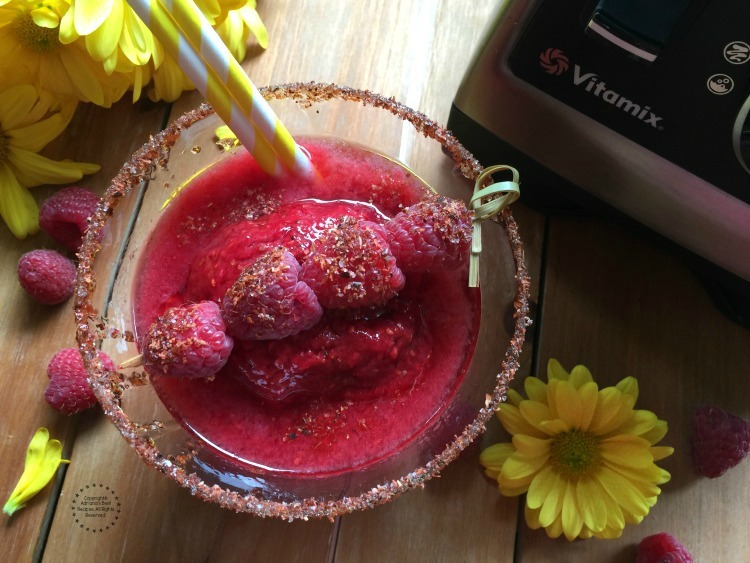 This recipe for the raspberry chamoy margarita has been done in colaboraron with Vitamix México. However all opinions are mine alone. This post is intended for audiences ages 21+. 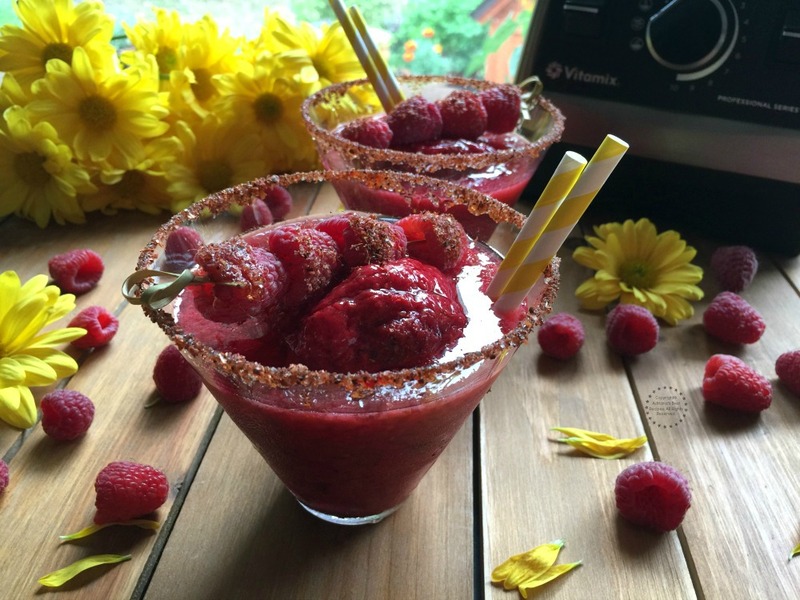 This mother’s day we are suggesting to celebrate with a tasty frozen raspberry chamoy margarita. This cocktail is a delicious combination to say “I love you” to Mom in her day. 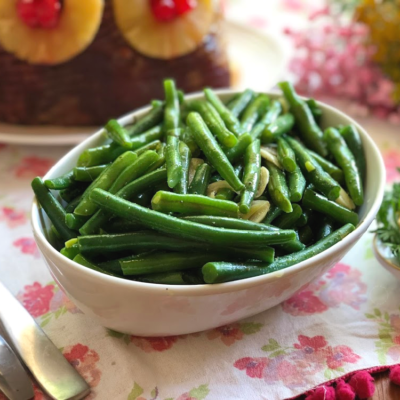 The recipe is very simple to make amidst perfect to offer before lunch or dinner. Watch the step by step video on how to prepare this yummy drink. 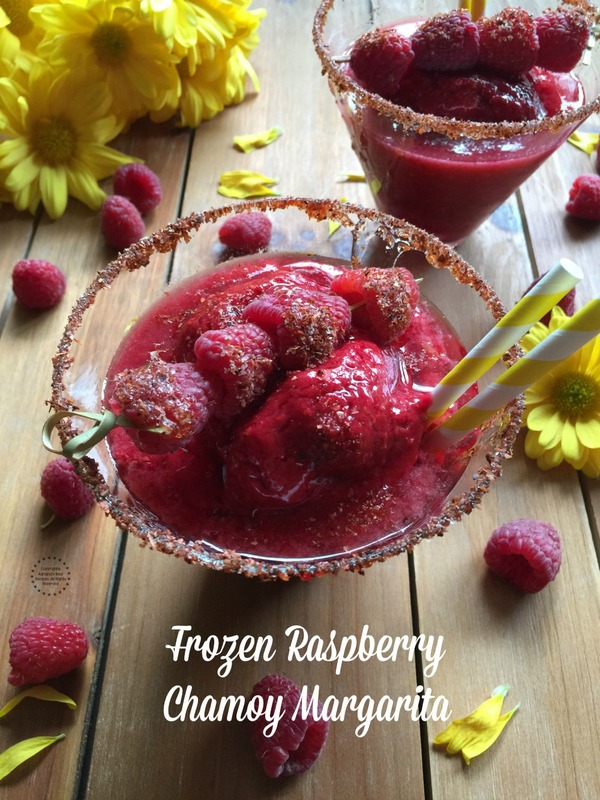 The frozen raspberry chamoy margarita has only 5 ingredients. Fresh and frozen raspberries, orange juice, honey, chamoy and white tequila. All ingredients easy to find in our supermarket. If you do not find raspberries you can use blackberries or strawberries. The result will be exquisite either way. 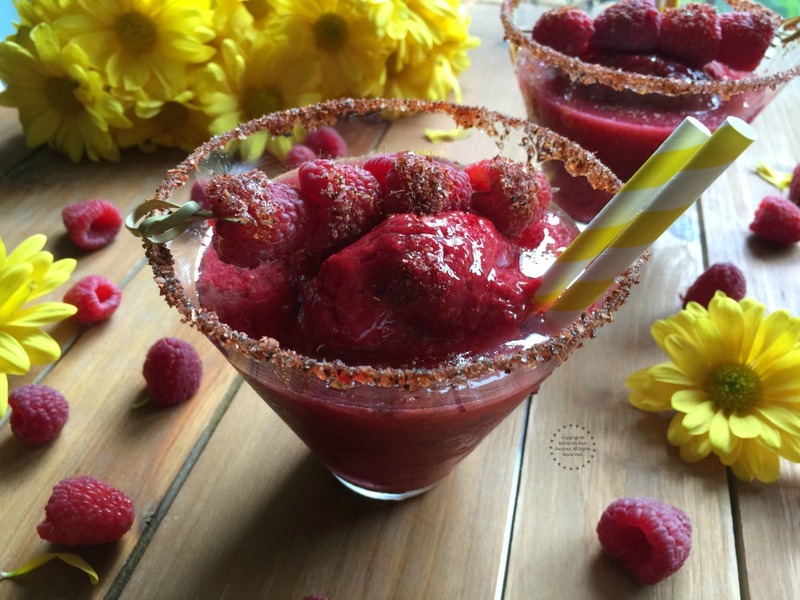 This frozen raspberry chamoy margarita has only five ingredients. Fresh and frozen raspberries, orange juice, honey, chamoy and white tequila. Ready in few minutes too! In the Vitamix add the orange juice first. 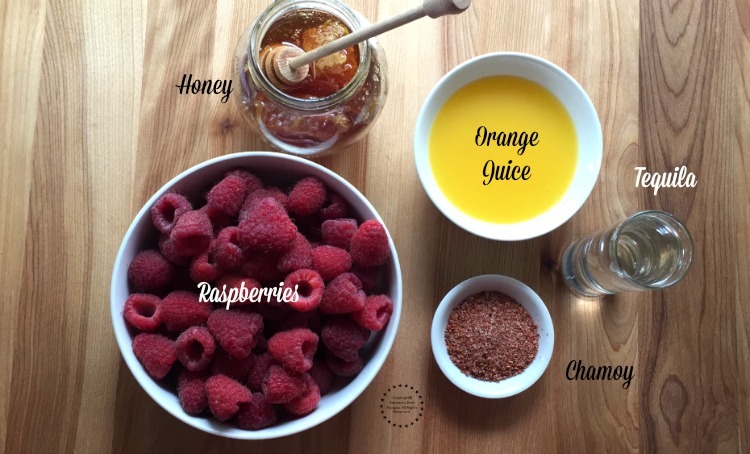 Then the honey and the frozen raspberries. Blend with the lid on and using the speed marked with a little snowflake for a few minutes until the mixture has a soft serve consistency. In order to keep the ice cream with the correct soft serve consistency, remove from the blender and add to a container with lid. Keep it inside the freezer until ready to use. 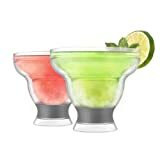 You will need margarita glasses. Adding chamoy to the rim for presentation and flavor contrast. To make the rim add honey to a dish. In another plate add the chamoy powder. Dip the edge of the glass into the honey first and then pass it over the chamoy powder. The honey will allow the chamoy to stick. Prepare the garnish with fresh raspberries and bamboo chopsticks. Add some honey to the raspberries on a stick and sprinkle with more chamoy. Serve the frozen margaritas adding two tablespoons of the raspberry ice cream and the add tequila. 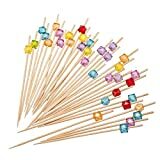 Decorate with the fresh raspberries on a stick and festive straws. If you do not find raspberries you can use blackberries or strawberries. The result will be exquisite either way. In my opinion to be successful in the kitchen we must have five important elements. Cook with love. Use fresh and seasonal ingredients. Have simple recipes that never fail. Observe safety and hygiene standards in the kitchen and have the help of products like Vitamix to achieve the best results. I love my new Vitamix Professional Series 750. Because it is simple to use, easy to wash and does not drip. It is also very versatile. I can now make homemade ice cream in less than 10 minutes. As well as other dishes such as delicious creams, sauces, cakes and even cookies. Before using the blender I read all the instructions to understand the operation well and I loved browsing the recipe book that sparked ideas on how to get the most of this spectacular blender. And while reading the book I realized the endless possibilities you have in the kitchen when using the right tools. 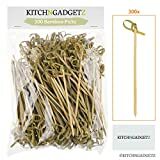 I love cooking and I’m a fan of having the best tools and technology in my kitchen to make my life simpler. Even though I love cooking for my family I do not want to be cooking all day, I want to enjoy with them too. Saving time is essential and definitely Vitamix helps me with this. 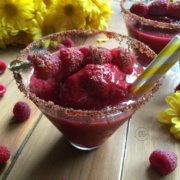 Now I can make my delicious green smoothie in the morning, but even prepare delicious cocktails like this tasty frozen raspberry chamoy margarita perfect to cheer this mother’s day. I hope this fruity margarita recipe has pleased you tastebuds and that you will try it at your upcoming party to treat Mom with a nice libation. You can also consider buying a Vitamix for mom. It is the best gift. I confess, now I can not live without my Vitamix in the kitchen. Celebrate and recognize mothers and motherhood not only today but all year long. Sending a big hug with love and admiration to you all. 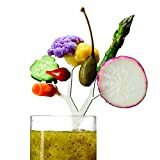 Raw Rutes - Tree Brunch Gourmet Cocktail Pick - For Epic Bloody Mary and Cocktail Garnishes - MADE IN USA - Stainless Steel Construction - Over Eight Inches Tall! That looks so good and a great way to relax on Mother’s Day! I have never heard of chamoy before, will have to check that out. Thanks happy you liked it. Chamoy is Mexican condiment made with dried pickled apricots and plums, pequin peppers and salt. We Mexicans eat this since childhood and we love to add it to fruits. Provides a nice sweet and sour spicy note that goes very nice with raspberries. You make everything I wouldn’t dream of eating or drinking look so yummy! I am going to have to check out this blender… I know my dad is looking for one now and will pass on this great information! 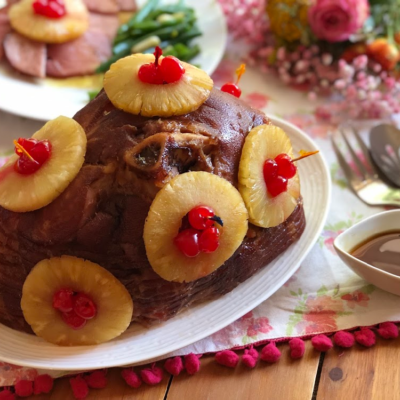 Many thanks I am glad you liked this recipe. This looks so refreshing! I’ve been planning to get myself a Vitamix, why not now eh? 🙂 I don’t know what chamoy is but if it’s in this drink, I bet it’s very flavourful! I am not at all familiar with chamoy, but if it works in a raspberry margarita, it can’t be a bad thing! Chamoy is Mexican condiment made with dried pickled apricots and plums, pequin peppers and salt. Provides a nice contrast against the raspberry flavor. I love frozen margs. Its been a hot minute since Ive had one and this sounds delish! Oh my goodness, this looks so good! I will have to try it out this summer. Looks delicious! I am saving this recipe. Great to have when friends come over, and it is also a delicious way to use up those raspberries! This is right up my alley! I bet this taste good with strawberries too. This margarita looks like a delicious way to cheers to Mother’s Day! I am also grateful for your notes about this Vitamix. I’ve been looking at the different Vitamix products for a while now and this one looks great. Thanks! Many thanks Marlynn happy I was able to provide helpful information. 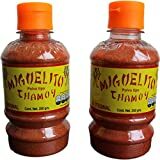 My brother consumes chamoy like he found the last remaining package on Earth! haha. I am so forwarding this recipe to him! Oh Tequila makes everything better. I’d love a good drink now..! Such a hot day..! This looks delicious and so pretty. I have this exact blender and totally LOVE it. What a great kitchen tool…expensive YES but worth every penny. Oh yes it is worth it! Even though I don’t drink alcohol I can see why those who do will enjoy this margarita!! Looks so refreshing and summer-perfect! Chamoy is Mexican condiment made with dried pickled apricots and plums, pequin peppers and salt. This really does look incredible. I bet it is delicious without the tequila, too. 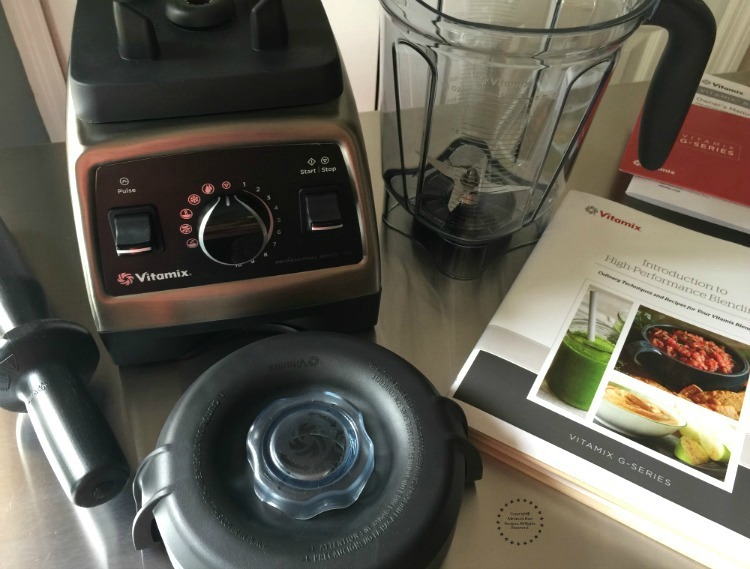 I have heard great reviews on vitamix and this is yet another one. Chamoy is something new to me and I have to look it up. This is perfect treat for Mother’s day and I would love to relax with these. 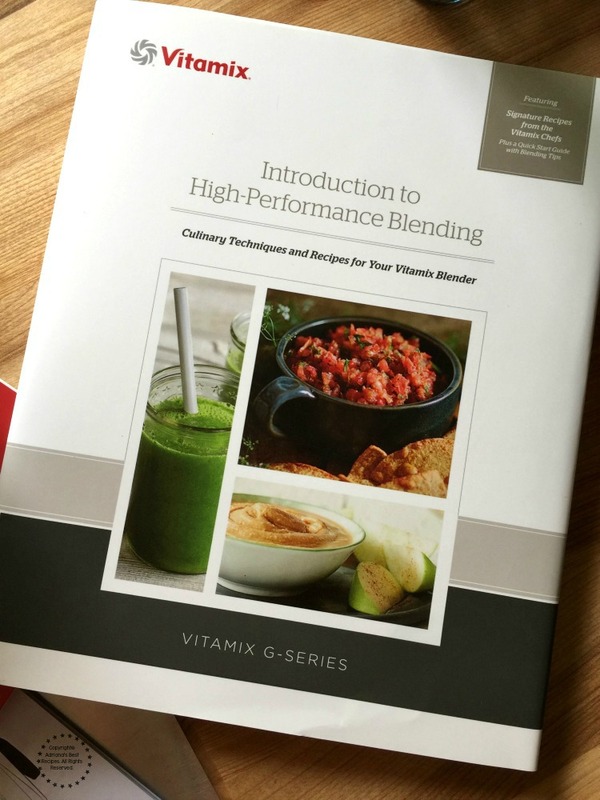 I was big fan of vitamix, for some reason I changed to blendtex! Your Chamoy looks delicious and you are managed to take good pictures of it! 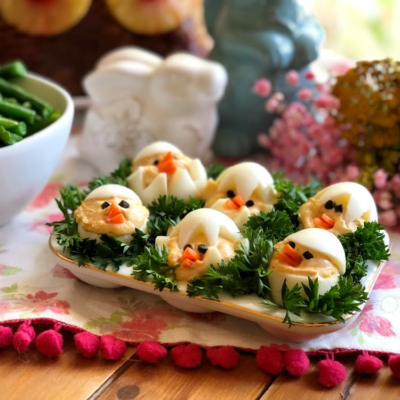 These are beautiful and look delicious! Perfectly refreshing for summer time! I’ve heard good things about Vitamix but have never tried one. That drink looks terrific, I love berries and they look beautiful. I have wanted a vitamix for the longest time and just love how easy this recipe looks. I’m totally craving a frozen margarita now! A nice treat for sure, it looks yummy, am sure mums would just love it. After all, they do deserve the very best, don’t they? Well, include me in the list of never having heard of chamoy. But I’m always curious about new ingredients and I’ll have to look for this. Your drink looks fantastic and it’s such a beautiful color. What a great drink to make for a celebration. 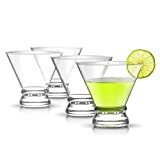 Love your drink recipes!! The variety you create is amazing! This one looks brilliant! Read about chamoy in the comments, pickled apricots and plums and spices sounds amazing! Will check whether we get it here in Dubai! This is perfect 👌. It’s Margarita- time here anyways. This looks good.